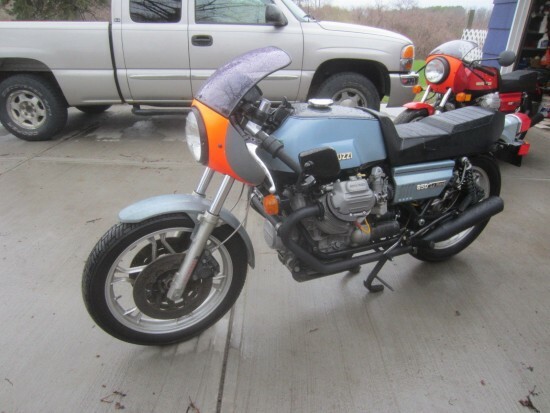 I normally try to space out bikes of similar make and model, and we did just feature a very nice 850 Le Mans recently, but this one has a couple things going for it that that make it stand out from previous examples. 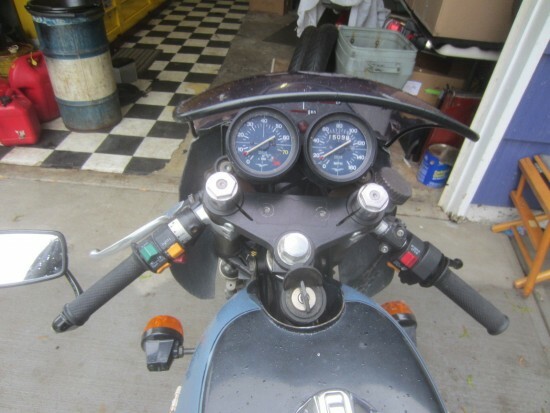 This example features a number of quality modifications that should make even purists happy: timing gears replace the chain and should allow more precise tuning, with upgraded suspension to make the most of the bike’s stable handling and a mix of upgraded and rebuilt braking components to improve safety. 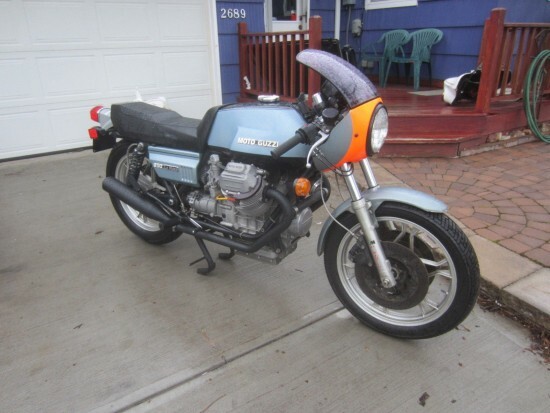 The seller also helpfully includes a nice ride-by video. 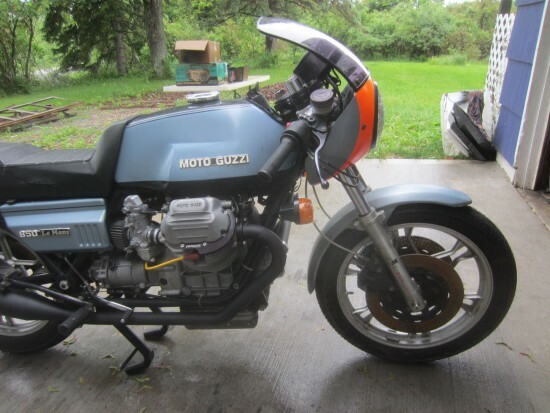 Moto Guzzi 850 LM 1 #007 first series LeMans # VE *070007* Built December 1975 the 7th bike built on the first with US VIN tags. 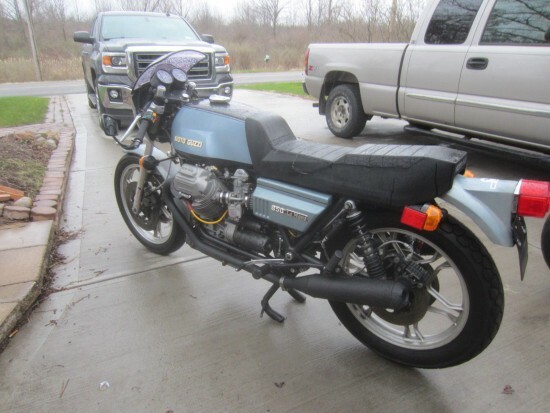 The bike isn’t completely original and, perhaps in twenty or thirty years, some pedantic concours judge will subtract some points, but for folks in the here-and-now, the period-appropriate modifications make for a better ride. 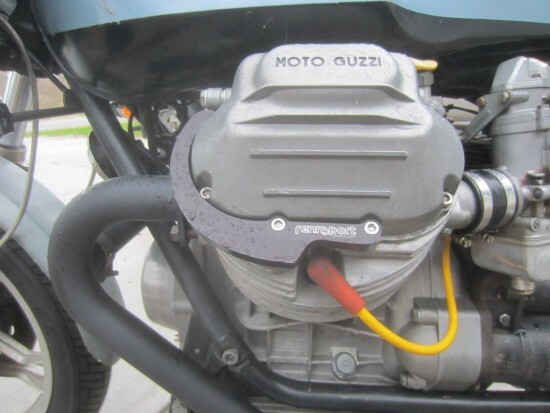 With the possible exception of the un-linked brakes: while purists generally prefer their front brakes controlled by hand and the rear by foot, by all accounts Guzzi’s linked system worked very well, so it’s more a question of taste than performance. Tragically for those of us who fell in love with these ten years ago when you could still find a Le Mans for $6,000 or so, the Buy It Now price is listed as $18,999. That’s at the high-end for first-generation Le Mans I’ve seen lately, but reflects the rarity, relatively low mileage, and useability of this example. This is from DBcycles. Dave always has some nice bikes.